Alcoholism, now commonly referred to as Alcohol Use Disorder or AUD, is a lot more common than you might think. According to the National Institute on Alcohol Abuse and Alcoholism, a branch of the National Institutes of Health, over 15 million American adults have AUD. AUD in America directly impacts about twice as many men as women. 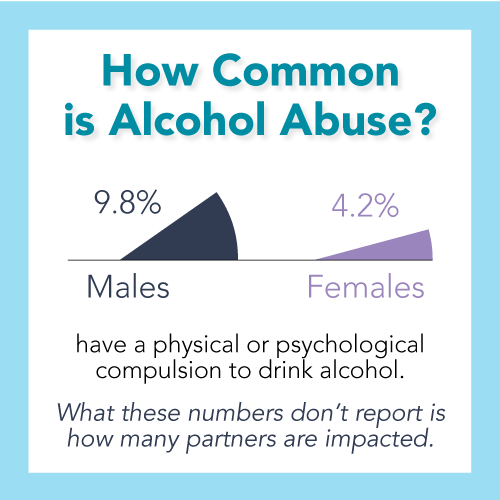 An estimated 9.8 percent of adult males and 4.2 percent of adult females have “a physical and/or psychological compulsion to drink alcohol,” and the vast majority of those with AUD are able to maintain a relatively high functioning level in their day-to-day lives. What the statistics don’t reveal is how many spouses, partners, boyfriends and girlfriends are impacted when the person they are in an intimate relationship with is an alcoholic. Like all types of addiction, struggles with AUD affect not just the alcoholics themselves, but those who are closest to them. Dating or living with an alcoholic is often compared to riding a roller coaster. The relationship is filled with dramatic highs and lows, and there’s very little time spent moving forward in a calm, level fashion. Here at FHE Health, we are committed to providing treatment not only for alcoholics but also for the people who are closest to them. We’ve prepared a list of the most common questions we hear from partners of alcoholics to help you understand what to expect if you’re dating an alcoholic, what you can do to help, and when it’s time to end the relationship. What Problems Come With Dating a Functional Alcoholic? Contrary to what is often portrayed in movies and on television, most people who are alcoholics are able to maintain a relatively normal’ lifestyle. They can hold down a decent job, be responsible for their bills and even be a good parent. In fact, functional alcoholics are often people who seem to ‘have it all; they maintain a busy social life, work hard at their careers and are often well-liked by their neighbors. These are people who tend to be well-educated and intelligent, and they are most likely in denial about the scope of their drinking problem. Functional alcoholics often drink heavily to mask serious mental health issues such as anxiety, an eating disorder or a dissociative identity disorder (formerly known as multiple personality disorder). Dating a functional alcoholic can be fun at first because people who are high-functioning alcoholics tend to be the life of the party. Once you get to really know them, you likely recognize how serious their alcohol dependency is. Despite seeming sociable, functional alcoholics often isolate themselves. They tend to have frequent emotional highs and lows, and the more you get to know them, the more often you’ll see them when they are down, hung over or struggling with their alcohol use. When they’re not under the influence of alcohol, they are often moody, irritable and anxious — all things that can create a lot of tension in an intimate relationship. Should I Take Steps to Get Help for My Alcoholic Partner? As long as you feel comfortable having an open and honest discussion with your partner about their alcohol abuse, you can play a powerful role in helping them get the assistance they need. You may want to see an addiction counselor or therapist on your own to rehearse your approach and have a plan in place. Keep in mind that even if you have the best of intentions, there’s a good chance your alcoholic partner might not be receptive to your offers of help. After all, most people who struggle with substance abuse are in denial about the severity of their problems, and that’s especially true for functional alcoholics. Is Dating an Alcoholic in Denial Enabling Their Addiction? Partners of alcoholics often blame themselves, but the fact is that it’s the alcoholic who needs to take responsibility for their drinking. That said, if your boyfriend or girlfriend won’t stop drinking, it’s important that you don’t make it easier for them to continue their addiction. Do I Need to Stop Drinking if My Partner is an Alcoholic? If you want to help them, yes. 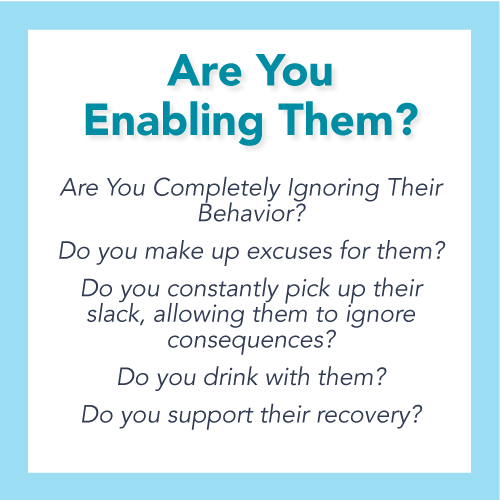 While the alcoholic needs to take responsibility for their own behavior, a critical part of their recovery journey is having people around them who respect their need to abstain from alcohol altogether. Although alcohol is readily available anywhere, as the partner of an alcoholic, not drinking in their presence is a simple yet powerful thing you can do to support their sobriety. When Should I Break Up With My Alcoholic Partner? While only you can decide when it’s time to get off the roller coaster and end your relationship with your alcoholic partner, if the relationship has become abusive or unsafe, you should seek help right away. Speak to an addiction counselor, your doctor or a domestic abuse service in your area if you are concerned your partner may hurt you, your children or your pets. Consider why you are in the relationship. What are you getting out of dating an alcoholic? What would your life look like if you ended the relationship, and how is that different than your life if you stay? At FHE Health, our Family Program is designed to support those who are closest to an alcoholic or addict. We can help you learn about enabling, recovery, relapse prevention and the importance of honest communication in relationships impacted by AUD. Contact us today. We’re here whenever you’re ready to talk.